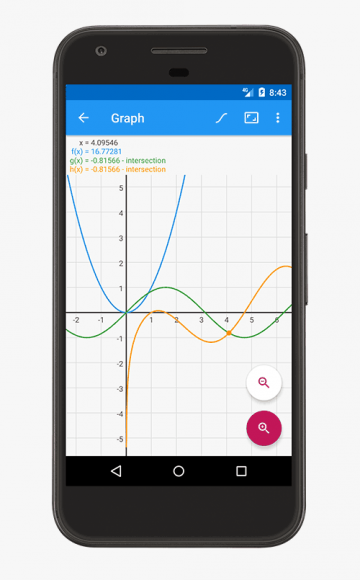 Use advanced functions such as sinh, cosh or logarithms. The interface shows the input as you would write it on paper rather than squeezing everything in a single line. Answers are automatically calculated, no need to press Enter buttons. Plot functions and find points of interests such as roots or intersections. Algeo automatically finds these points and jumps to them. If you need a detailed list of values, the Table feature will show the functions evaluated at the given points. You can quickly glance over the list to compare the numbers. "I love it. I have used this to help my son with his high school math." 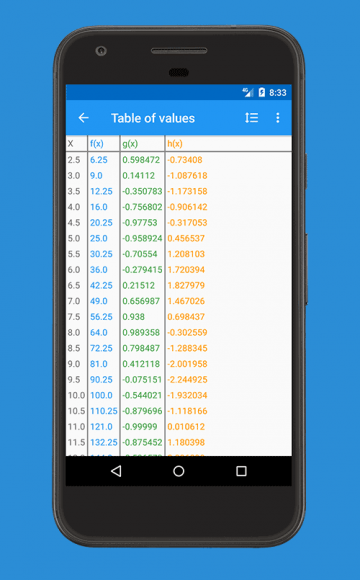 "As a math and physics major, I can't live without this app! This is better than any expensive graphing calculator!" 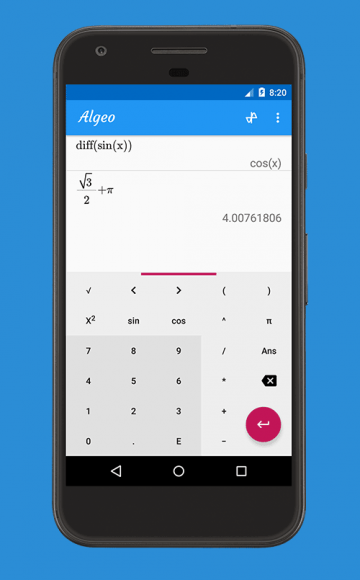 If you have a question about the calculator or have suggestions feel free to email us at info@algeocalc.com.